Dallas Limo and Black Car Service are one of the most reliable and efficient car rental service in Dallas and other areas of the US. 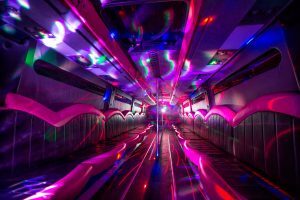 We have been offering efficient party bus rentals Dallas, airport, corporate and other transport facilities for years now. Our services are top notch and you need not worry about anything once you sign onto us. The first reason why picking us will be a great decision for you is our reliability and punctuality. Over the years we have built a reputation for ourselves. Ask anyone, we are the best car rental provider and are never late. You can rely on us to be punctual and meet all your requirements. We have the most diverse fleet of cars to rent out. No matter what the occasion or reason for you hiring the car is, you will find exactly what you need. There is a party bus for everyone in our fleet because we don’t want to leave anyone disappointed. Our chauffeurs are extremely well mannered, are well trained and are super experienced. They know their job and also how to do it right. You definitely in safe hands when riding with our chauffeurs. They’ll take care of the directions, destinations and timings so that you can relax and enjoy your party in the party bus. The prices offered by Dallas limo and black car service are extremely affordable. We are not here to dope you, just do our work right and offer worthy services at reasonable prices. You can cross refer our prices anytime, and every time you’ll find our prices to be the best. Last but not the least we offer 24*7 customer support services so that you can reach us anytime you want from anywhere. We are always in reach and are ever ready to sort out any queries or concerns you might have. So don’t worry and just ping us whenever you need anything. So the next time you need party bus hire in Dallas TX or any other car rental, hop onto Dallas Limo and Black Car Service to find what you need. It is extremely easy to take our cars for rent. Just go through the fleet of cars and when you find the one you need ping us to book it, and you are done.